My love for HelloFresh is very well documented on here and over on my Instagram account. After working for them at the beginning of the year I'm a total convert and have continued to pay for my weekly recipe boxes ever since. There's a few reasons why I love them so much. First of all they have genuinely given me confidence in the kitchen and I actually enjoy preparing meals these days. I used to be a terrible cook. 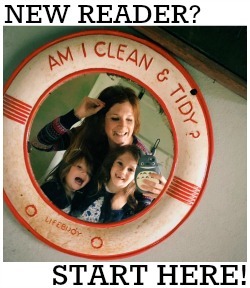 Sure, I'd give new things a go, but the kids would always turn their noses up at them which stressed me out no end, so for years I just cooked the same five meals on rotation to keep them happy and to ensure their bellies were full. In the seven months we have been HelloFresh customers we've not had a single bad meal - and the girls get really excited to find out what meals we have lined up when our box arrives on a Tuesday. The other thing I'm pretty passionate about is eliminating food waste. I absolutely despise wasting food, or throwing it into the bin rather than recycling it (you can read my post about why it's essential to recycle or compost your food waste here and my guide to reducing food waste here). I love receiving the perfect amount of ingredients for each recipe (and knowing that HelloFresh use recyclable packaging). And because the meals are so darn delicious, there are never any leftovers! Anyhoo, I digress. The reason for this post is to let you all know that HelloFresh have just launched a new feature over on their website. 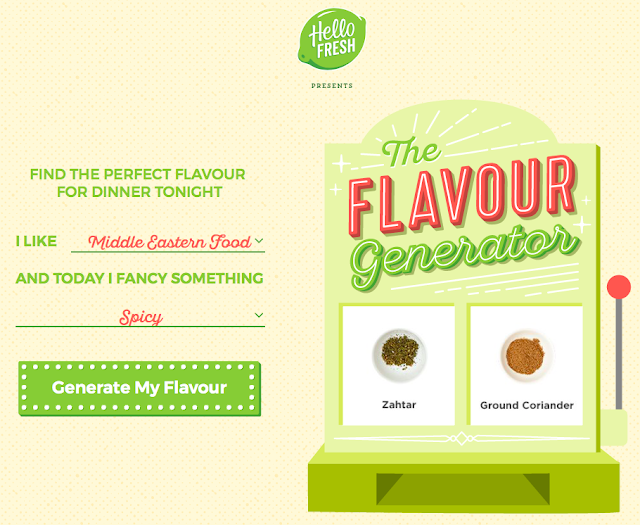 It's called the Flavour Generator, and it's essentially a tool to help you find the perfect recipe when you're not sure what you fancy (yes, their website is jam packed FULL of recipes, even if you don't have the boxes delivered!). You type in your preferred cuisine, and whether you're in the mood for some spicy, or tangy, or herby - et voila! HelloFresh make some suggestions for you. It's a great way to get the kids involved, and excited about food, and each recipe provides step by step photos and full nutritional info. Tonight we will be having Chermoula Spiced Chicken, with courgette rice and lemon yoghurt - and I'm already salivating at the thought! If you are too, you can check out the recipe for yourself here.